Try a FREE hearing aid test drive and find out what hearing aids are best for you! Use the form to the right, and someone from our office will be in touch with you shortly to schedule your complimentary appointment. Try them for free to find out! Roseville Diagnostic Hearing Center will provide high quality, compassionate audiologic care to all individuals with emphasis on our commitment to provide long-term diagnostic and hearing aid services to the community while promoting healthy hearing. We are dedicated to our patient’s success and strive to be the number one hearing center for quality and value. 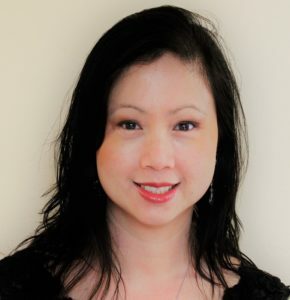 Dr. Roselynn Gamboa Young, owner of Roseville Diagnostic Hearing Center, Inc. has been an audiologist for 15 years in Roseville, California. She started with very humble beginnings. Dr. Young or “Roselynn” was born in Dumaguete City, Philippines and moved to the United States with her family in 1992. She and her family joined her grandparents in Sacramento who came to the United States in the 70’s in pursuit of a better life. She started working for Sutter Medical Foundation at 19 years of age holding different entry-level jobs while pursuing her studies. Roselynn completed her Bachelor of Science degree in 2000 and Master’s degree at California State University, Sacramento in 2002. While working as an Audiologist at Sutter Medical Foundation, she continued her education achieving a Doctorate degree in Audiology through A.T Still Arizona State University in 2010. Roselynn started a successful hearing aid dispensing practice at Sutter Medical Foundation, Roseville location in 2003. The experience gained from starting the hearing aid dispensing practice has given Roselynn the knowledge and skills necessary to successfully serve her patients. She has always been dedicated to her patients and always prioritizing patient service.